Make your reservations today at 601-956-1030. 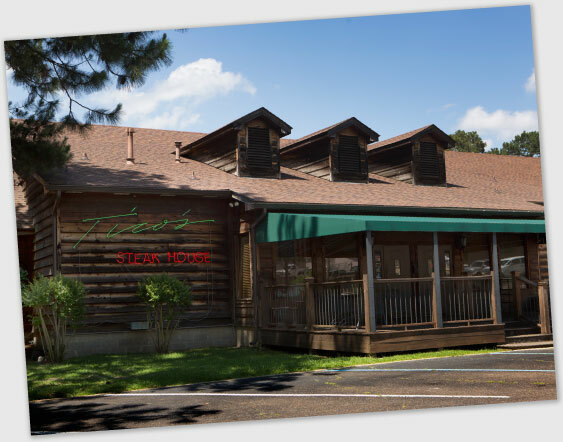 For nearly 30 years, Tico Hoffman has delighted customers from Jackson and abroad with his unique blend of mouth-watering steaks, sumptuous seafood dishes and other local favorites. Tico’s friendly atmosphere and attention to every detail has made the restaurant a favorite for all who love exceptional food and drink. All salads are locally farmed. Ask your waitress for our daily desserts. The best beef Tico has to offer. This cut of beef has the largest marbling which gives it all of its flavor. This cut of beef has the largest marbling which gives it all of its flavor on bone. Tico’s Favorite! Cut from the short loin which gives it a beefy flavor, but also a firmer texture. A combination of a filet and strip, surely a steak lover’s delight. (Bell pepper, onions, mushrooms and tenderloin). Served over wild rice. For extra cut, add market price. 12 oz. of white milk-fed veal. 14 oz. chicken breast served with sauteed bell peppers, onions and tomatoes on wild rice. Eight large gulf shrimp butterflied and battered in our own secret recipe, served with french fries. Eight large shrimp broiled in butter and garlic, served over pasta. Fresh fish grilled in lemon and butter. Your choice of cheese, butter, chives, sour cream or bacon. 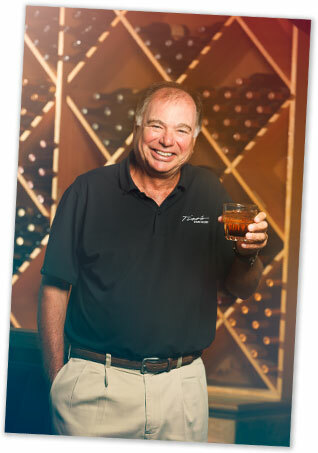 Tico Hoffman, a lifelong restaurateur and former player on the amateur golf circuit, never meets a stranger. Shortly after opening his steakhouse in 1989, the restaurant quickly became the place to be for his ever-expanding network of friends and acquaintances. Tico’s easygoing demeanor combined with his commitment to excellence continues to earn him new friends and customers, year after year. Love Tico’s! Great food, folks & atmosphere! One of the best steaks in town! Love this place. Unbelievable! The best steak I have had in years! The service was impeccable! When you are in Jackson MS, you must go! Want the latest updates from Tico?